The Independent Review Panel of the Caribbean Community (CARICOM) Sub-Committee on Cricket Governance has recommended that the West Indies Cricket Board (WICB) be disbanded and an interim committee installed to run the affairs of cricket in the region, the Jamaica Observer can report. The review panel submitted the report to Caricom last week after three months of consultations, during which it also conducted interviews and held deliberations. It was chaired by principal of the Cave Hill Campus of the University of the West Indies, Professor V Eudine Barriteau, and included president of the Caribbean Court of Justice Sir Denis Byron, former Trinidad & Tobago and West Indies cricketer Deryck Murray, president of the Caribbean Development Bank Dr Warren Smith, and president of the Grenada Cricket Association Dwain Gill. It worked through the Guyana-based Caribbean Community Secretariat. The committee was set up last April following an agreement at a meeting between the WICB and the CARICOM Cricket Governance Sub-committee, the latter comprising prime ministers Gaston Browne of Antigua & Barbuda, Ralph Gonsalves of St Vincent & the Grenadines, and Grenada's Dr Keith Mitchell. An advisory issued by the Grenada Information Service yesterday informed regional media organisations that a media conference would be held today at the Ministry of Works Conference Room in the Grenada capital of St George's starting at 3:00 pm Eastern Caribbean time (2:00 pm Jamaica time) to announce the findings of the Review Panel. "The main issue to be addressed will be the committee's report by the cricket review panel, as well as share the recommendations for the way forward for West Indies Cricket," the advisory said. The media conference will be streamed live on GIS TV: http://www.gov.gd/tv. 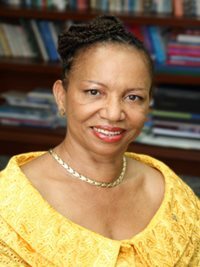 Prime Minister Mitchell, who chairs the CARICOM Sub-commiteee on Cricket Governance, will jointly host the media conference with Professor Barriteau. The review, a copy of which was obtained by the Observer last week, cited, among other things, the outdated mode by which the affairs of the WICB were being conducted. "Caribbean societies and the West Indies game of cricket have changed drastically since the origins of the latter in its organised, competitive form in the British colonial Caribbean in the mid to late 19th century. In the 21st century, the game of cricket is now embedded in the global, corporate world of business. 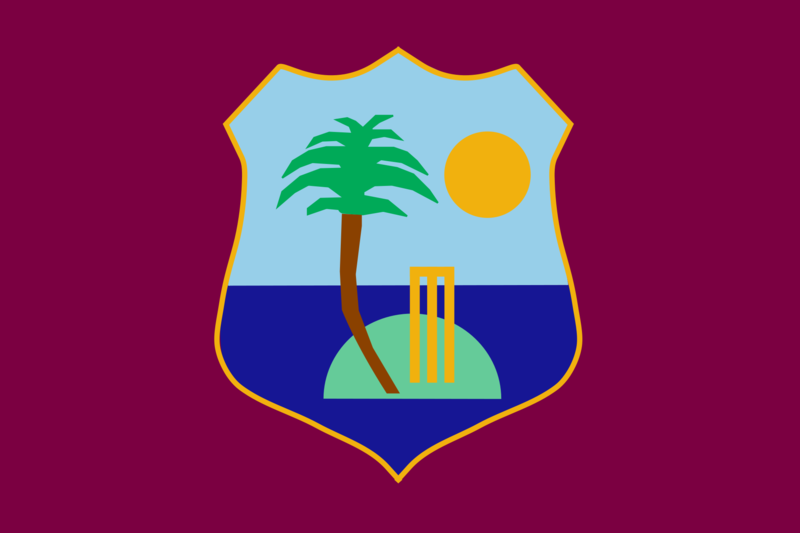 Caribbean people continue to experience excitement or despair about what happens on every field of play, to agonise about the fortunes, successes, failures or foibles of the West Indies teams; but Caribbean cricket is far more than the public's support and consumption of West Indies cricket," the report stated. "Cricket today constitutes a global, multi-billion-dollar social and economic enterprise. The responsibility for delivery of this product at the present time, given the corporate structure of the WICB, falls to the shareholders, comprised of the six territorial boards and the overarching regional West Indies Cricket Board (WICB). "The shareholders of West Indies cricket, led by the WICB, however, rely on the active involvement of other stakeholders of the game to deliver its product. These include several Caribbean governments who finance the construction and maintenance of the stadia where the game is played; several important industries, such as tourism, aviation, and food and beverages; former players, some of whom constitute an elite group of exemplary ambassadors of the game known as the legends, and the current players, both women and men, and their representative organisation, the West Indies Players' Association (WIPA) constitute another key group of stakeholders," the report said. "Finally, the Caribbean public completes the stakeholder community on which the delivery of the public good of West Indies cricket depends." The review panel also said: "In spite of substantial transformation and modernisation of the business of cricket in other countries such as Australia (Cricket Australia) and England (England and Wales Cricket Board), the governance of West Indies cricket has failed to evolve in a manner which accords with the exigencies of the modern game, but continues to be governed by a structure that is not reflective of the transformation of the game elsewhere. "This is especially evident in relation to the requirements of the player-coaching community, stakeholder investors, and the expectations of the Caribbean cricketing public. The existing governance structure, in its most essential features, remains closely aligned to its origins in the early 20th century when it was established to co-ordinate inter-colonial tournaments, select West Indian XIs and touring teams, than with the modern governance, administration and ongoing commercial progress of the industry of cricket in other parts of the world. "The panel wishes to state unequivocally it has no issues with the individuals who occupy the leadership and composition of the WICB or the territorial boards. Instead, we are of the view that cricket is increasingly a growing social and economic subsector in the Caribbean. The requirements and inputs for its effective delivery, management and ongoing growth have evolved and changed considerably. These changes have made the existing systems of governance anachronistic. "The panel states that the current governance structure is out of alignment with the modern requirements of the game at the national, regional and international levels. The production, delivery and ongoing advance of what we call West Indies cricket has outgrown the governance and administrative systems by which it has been delivered, with some modifications, since the 1920s. Hence, if West Indies cricket is to realise its true potential as a dynamic and financially lucrative service export sector, capable of restoring the pride of Caribbean people and fostering their greater sense of togetherness, then the difficult decisions to modernise its governance arrangements must be taken without further delay. It is now past the time to accept that the current governance structures are obsolete," the panel argued. In recommending the creation of a new "governance and management architecture" for West Indies cricket, the panel called for a radically new approach to restoring the fortunes of the game. "In the 21st century Caribbean, the sporting outcomes of the game of cricket will continue to dramatically affect the psyche of Caribbean people. The enduring and ongoing impact of the triumphs and tribulations of successive West Indies cricket teams on the cricketing public will continue to be well documented and researched. "Yet, we maintain that the issues confronting the governance and administration of cricket exceed the dynamics of the game on the field of play and its effect on the psyche of Caribbean people. There is an inherent and as yet unresolved tension between the evolution of the game of cricket into a powerful, professionally driven, entertainment and sporting industry and a system of governance predicated on an earlier, more simplified set of requirements," the panel said. "In this regard, the panel strongly recommends the immediate dissolution of the West Indies Cricket Board and the appointment of an Interim Board whose structure and composition will be radically different from the now proven, obsolete governance framework. "The panel states that this is a fundamental and foundational requirement. These two key measures are absolutely necessary in order to transform and modernise the governance, management, administration, and the playing of the game. All other recommendations depend on these recommendations being implemented. "The transformation of the governance and administrative framework is necessary to improve conditions affecting all players. The introduction of a new governance structure is also required to build depth and continuity into women's cricket about which we make specific recommendations. Historically, and for too long, challenges with the management and governance of West Indies Cricket have been approached as an issue primarily of the quality of the leadership. Instead, it is the panel's view that the existing governance mechanisms do not provide an appropriate environment and framework to address the changes and challenges within the game of cricket, and the business of cricket. The outmoded governance structure does not prioritise accountability and transparency." One source close to the findings lamented the state of West Indies cricket, and said that he was not surprised that the sub-committee came up with such a conclusion. "We are in the doldrums. Nowadays, if you mention the name West Indies, it is like a curse to some of the people who have followed the fortunes of the team for decades," the former high-ranking administrator said. "It is clear that (WICB President) Mr (Whycliffe) Cameron is not capable of pulling the West Indies team or the West Indies Cricket Board from out of the mess. "It is time to move now on West Indies cricket. The patient is ailing and we cannot afford for it to die. We must act now, and the report must be taken seriously," the official said. Some of the region's main stakeholders in cricket, including the WICB, and political leaders of the various island states, have already received copies of the report, the Observer has been told. The recommendation to disband the WICB is almost certain to jolt the organisation, which has come in for flak, moreso in recent years, for its inability to halt the rapid decline in the state of the game, and the dismal international record of the West Indies cricket team. Questions have also been raised about the financial credibility of the organisation. The WICB said in a statement last night that it had acknowledged the report. "I have noted the findings and we will discuss these recommendations with a view to enhancing the existing work of the Secretariat and the board of directors. A full response will be sent to the chairman," said Cameron. The team have lost three of their last four Test series, and only last month went down to hosts Sri Lanka in a two-match series. The team also lost the first One-Day International match between the two a few days ago, and were slated to meet the hosts in the second match starting early today, Caribbean time. Only yesterday, news emerged that one of two Trinidad & Tobago directors on the WICB, Baldath Mahabir, quit the board with immediate effect, highlighting what he called the "unprofessional" conduct of the WICB. Legal opinion is divided regarding how much power Caricom can wield in seeing that the recommendations are implemented, but precedence has been set in other member countries of the International Cricket Council. The cricket boards of Pakistan and Sri Lanka were once disbanded by the political leaders of their countries, while action was also taken against the cricket boards of India and Bangladesh by local politicians in a bid to improve the fortunes of the organisations.